You probably know to ask locals for food recommendations when you travel, but you want to make sure you ask the right locals. Tap your network to see if you know someone who lives there, or happen to know someone who knows someone else who lives or has lived there. Ask around before you leave and you might end up with a list of fantastic places to try that tourists will never find. 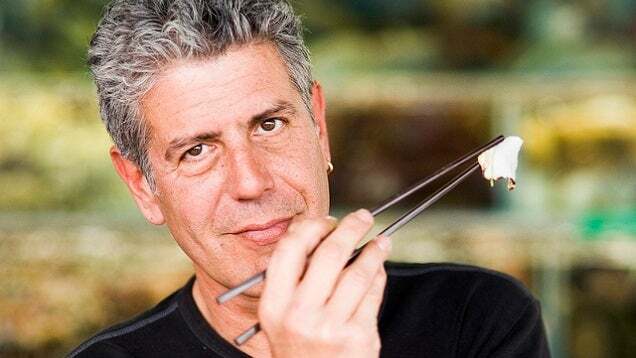 If you can’t find anyone in your network to help you out, Bourdain suggests posting a fake, positive food review on a travel site. You’ll get a great list in the blink of an eye. Of course, you could also just ask people on those sites for help, but that’s not nearly as fun. If you want to eat like a local, be sure to get your homework done first.